Born and raised in Orange County CA, JJ Mazzo is a local nationally ranked top 100 in San Juan Capistrano, CA. 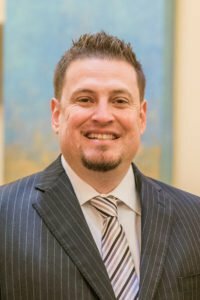 JJ brings 2 decades of experience in almost every area of the loan process with well over half a billion dollars in funded loans. JJ was the first mortgage lender in Orange County to create a 10 Day Closing Guarantee, which allow borrowers to have the same advantage as cash buyers when competing for an offer on a home purchase. He spends free time cooking and relaxing with his wife and two beautiful daughters, and a committed sponsor of CHOC Children’s Hospital and Orange County Rescue Mission.